Have you ever backed a Kickstarter campaign? I never have, until yesterday. So why did I finally take the leap? Because I loved the concept of Versa Bricks. It was the first product that I think should be on the market, as opposed to just liking the concept for myself or supporting a start up. 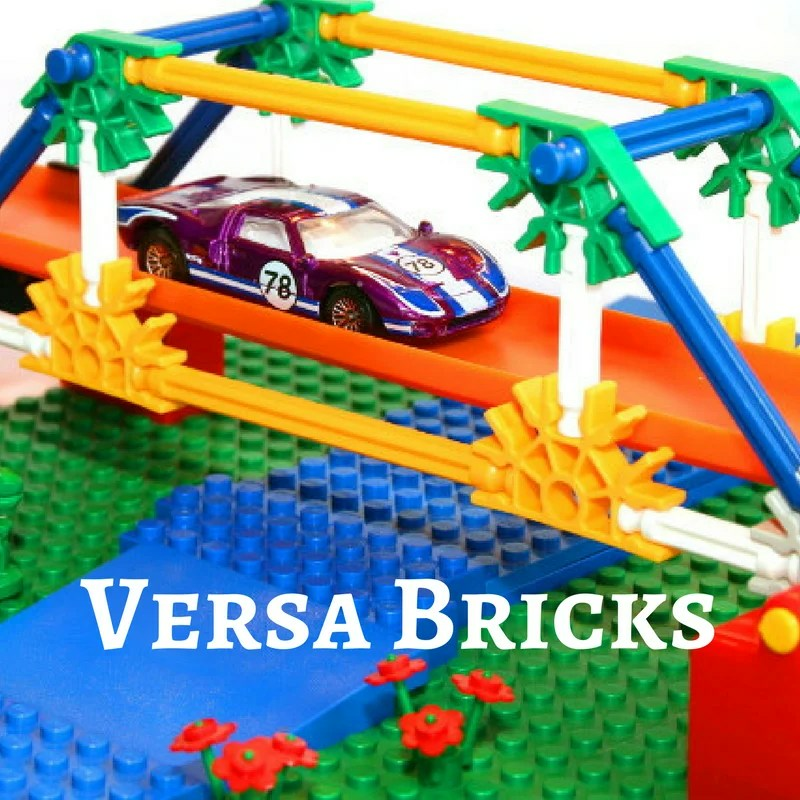 The gist of Versa Bricks™ os that enables you to connect your Lego® brick creations to HOT WHEELS® tracks, K’NEX® building systems and HO scale train tracks. As a result, all can all work together to create unique play structures, which expands play time, creativity and fun! Versa Bricks is patent pending, but the company behind it needs Kickstarter support to build the plastic injection molds for the six new bricks. Then, they can bring Versa Bricks™ to the masses! I really hope they make it. Kickstarter, for those of you new to the concept, is a place for companies and people to raise money for a product or project. In exchange for your financial backing, you get something in return: the product when it goes to market, a stake in the company, a thank you note, etc. Wow what a nice write up for my Versa Brick project! I really appreciate it and am glad you see the value it adds to the toys already sitting in the toy box! You rock and so does your blog! The project only has 13 days to reach the goal. The shout out on Twitter is also much appreciated.